Enrollment is now open for all courses, including our ALL NEW Guitar Repair workshops! The University of New Hampshire is proud to host the 46th year of the Violin Craftsmanship Institute. Workshops are designed for bow makers, professional stringed instrument musicians, music educators, violin makers and instrument repair persons at all levels of experience. We are pleased to welcome back many of our long-esteemed instructors, as well as some new faces. New courses for 2019 include "Bass Restoration Fundamentals," "Violin Identification," and "A Varnisher’s Toolbox, the Basics of Varnishing a Violin." We are also excited to add two all-new guitar repair workshops to our 2019 course offerings. 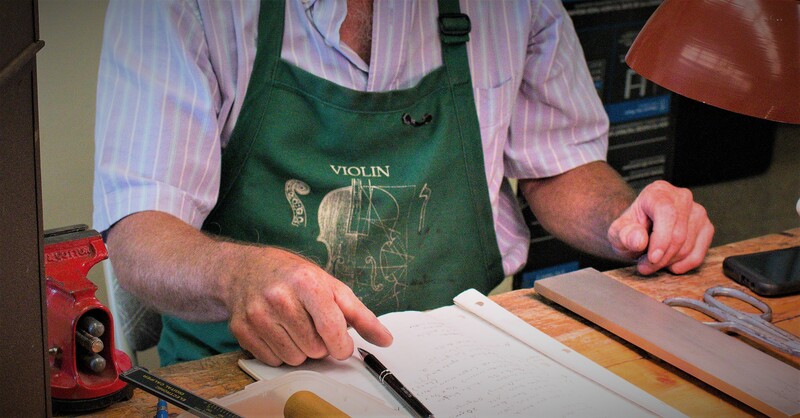 You can add a Violin Craftsmanship Insititue apron to your cart at checkout for an additional $20. Simply select "Violin Institute Apron" under Other Fees.